Welcome to the Star Wars party! 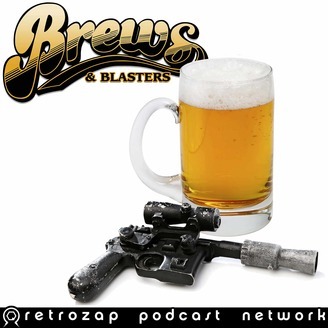 Brews and Blasters is your chance to kick back and enjoy everything about that galaxy far, far away. From the prequels to the original trilogy to The Force Awakens, Rogue One, The Last Jedi and Solo, hosts Chris Salton and Joe Tavano sit down every week to do what would be doing anyway–talk about all things Star Wars, tell some stories, and have a good time. Join them as they share their love for Star Wars, the most obscure Star Wars characters, Boston’s North Shore, 1980s pop culture and delicious food, and occasionally talk to fascinating people–and friends, like an anthropomorphic packet of crystallized lime. Breathe...just, breathe. We are digging deep with our Star Wars: The Rise of Skywalker teaser trailer complete analysis, taking a close eye to every shot, with theories, ideas and speculation you won't hear anywhere else! No one's ever really gone...but while Chris is at Celebration Chicago, Bill Drewnowski from Dorklair sits in with Joe to do an in-depth Star Wars: The Rise of Skywalker teaser trailer complete analysis, looking at everything that was learned from this huge reveal! You'll want to hear this deep-dive into the next Star Wars film, as Bill and Joe dig deep into everything from connections deep in Art-of books to some interesting implications as to the plot of this movie stemming from the provocative title. What does The Rise of Skywalker mean?! You may have a better idea if you listen to this episode! The Star Wars Party starts NOW! 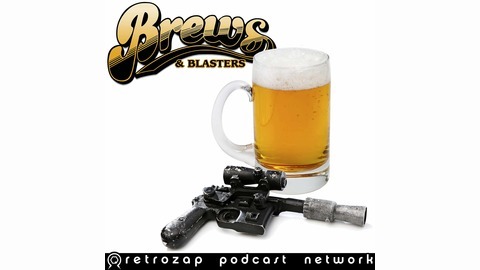 It's time for Brews and Blasters. P.S. Chris will be back next week! If you like the show, please leave us an iTunes review. It helps, honestly, because more people will find the show. And if you take the time, we'll really, really appreciate it. Plus, you'll win an Oppo Award!